Delirious Kit by Steel City Scraps. Family is a priceless treasure. When I was young I truly did not realize the value of family. I wish I ask my grandmother more things about our family before she left this earth to be with God. Pictures of our families tell so many stories. 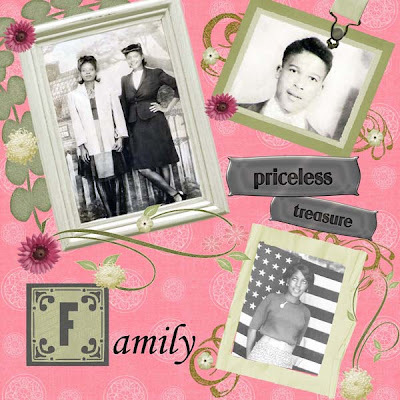 I wanted to create a layout for my families priceless pictures. When I received the Delirious Kit, I knew right away this would be the perfect kit to enhance my family pictures. You can purchase the Delirious Kit by Steel City Scraps at Digital Candy.